Our goal and our passion has been to work hard, entertain our fans - and bring excellent theatre to the regions. We now provide workshops with relevant performances, and are looking to reinstate the values of old school repertory theatre. We consist of an integral team of highly-talented artists, working together to develop classical and contemporary works utilising far-reaching techniques. We are also working towards bespoke performances for children with learning difficulties, in conjunction with our mainstream shows. Theatrical Niche are a Kent-based theatre company, but often use professionals from the Capital, and further corners of the UK. Venetia is an Actress and Playwright. 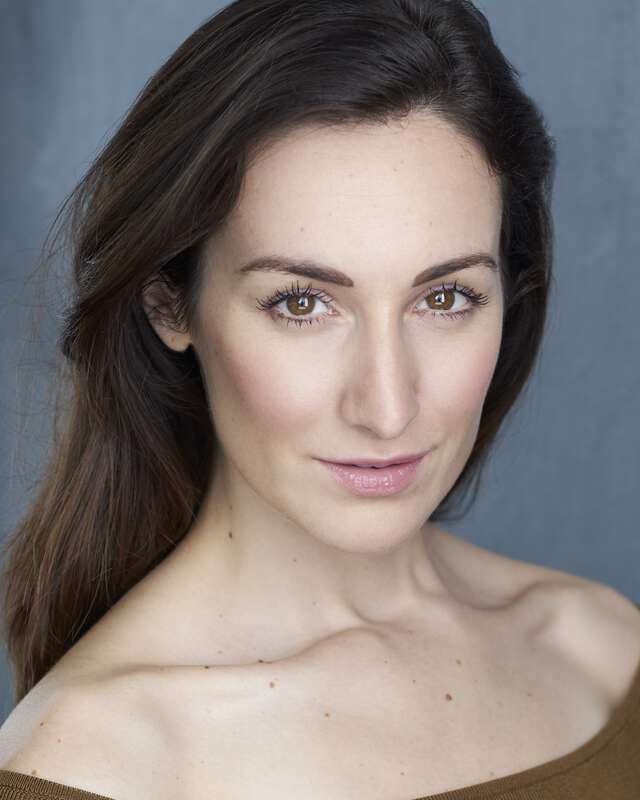 Having graduated from Edinburgh University with an MA (Hons) in Philosophy and Psychology, Venetia went on to study at Richmond Drama School in London. As well as working for several years in theatre and film, Venetia wrote dark moral comedy, Decency/Discretion - performed t in the Phoenix Artist Club in London's West End in July 2011, and Theatrical Niche Ltd was formed. Theatre credits include Annie (A Doll's House), Rosie (The Abominable Snowman), Lady Windermere/Cecil (Lady Windermere's Fan), Mrs. Samsa (Metamorphosis), Jack Frost (Laila), Othello (Emilia), State of Fear (Hannah), Lysistrata (Lysistrata), Still the Beating of My Heart (Mrs. Witham), Blood Wedding (Maid / Neighbour), Last of the Red Hot Lovers (Elaine Navazio), Proof (Claire), Debris (Michelle), Two (Landlady etc), Love's Labour's Lost (Princess of France), Abigail's Party (Beverly), The Crucible (Elizabeth), Rosencrantz and Guildenstern Are Dead (The Player). 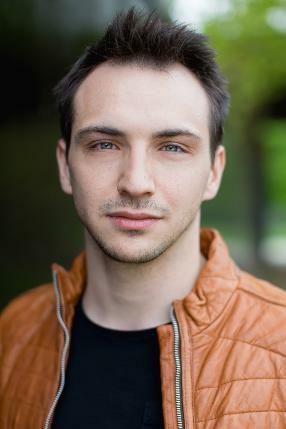 Film/TV Credits include Boujee Life Lessons (Rival), Kelly Convey's Dating Disasters (Posh Fencing Instructor), Crownton Dobby (Anna) - Web & TV Series, The Rise of the Krays (Laura) - Feature Film, Brothers With No Game (Charlotte) - London Live TV, The House of Silence (Jane, Lead) - Feature Film, Marriage (Heidi) - Feature Film, Darren H Christ (Jenny) - Comedy Short, Lovely Monster (Mean Girl) - Short, FlashPrank (Bride-to-be) - MTV . Venetia has adapted several classics for Theatrical Niche, and feels extremely privileged to work across theatres in the UK & Ireland. She is a member of Equity and Spotlight. 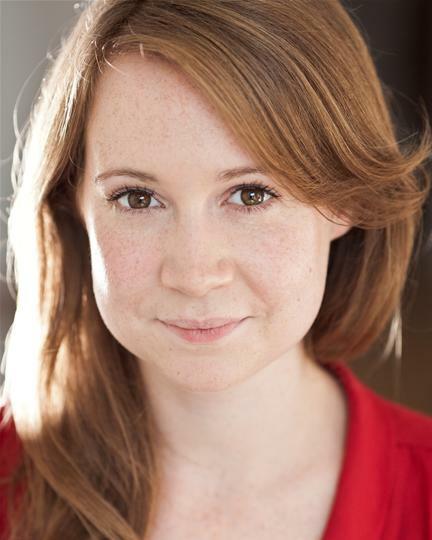 Alice trained in Acting at the Academy of Live and Recorded Arts as well as previously gaining a BA in Drama and Theatre Arts from Goldsmiths, University of London. She is Joint Artistic Director of Moon On A Stick productions, a multi-disciplinary puppetry company. She is also an Associate Director for Tree Folk Theatre for which she has directed a number of projects and is set to direct the Tempest in July. She has worked as a puppet director for Lazarus Theatre Company’s production of Dido, Queen of Carthage at the Greenwich Theatre. As well as this, Alice has co-produced work with Ricochet Theatre Company, taking their show ‘Whale Tale’ to the Edinburgh fringe and producing and performing in ‘ Hold me by the hand’ by In Your Pocket Theatre. She has worked extensively with the National Youth Theatre of Great Britain and Youth Music Theatre UK both as a performer and as a director and choreographer. Alice will direct A Doll's House this Spring. She was Director and Puppet Director for Theatrical Niche's tours of Metamorphosis, Good Person of Szechwan, Lysistrata and Blood Wedding for the company. Her multidisciplinary approach and incredible work ethic are an asset to the team. Alice has acted and danced for Theatrical Niche in their Autumn ghost stories tour Still the Beating of My Heart, and she played three roles within Tartuffe, as well as having created the Commedia-based masks. 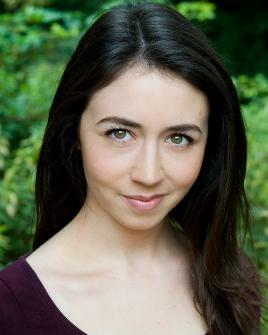 Alice graduated from East 15 Drama School in 2009, and has been working steadily in film and theatre ever since. Film Credits include 360 (Kate), Victim (Jill), The Bench (Lucy), To See Her (Woman Lead), The Wedding (Bride) and The Hounds (Lisa). For Theatrical Niche, Alice has Directed and Adapted Still the Beating of my Heart, Assistant Directed Mac-Beth, played Ella in debut play Decency/Discretion, and took the lead as 'Bride' in BLOOD WEDDING and 'Catherine' in PROOF, receiving rave reviews for both. She is Casting Assistant for the company, and also heads up the Marketing Team. Alice is a member of Equity and Spotlight. Choreography Credits:Amy has choreographed some extraordinary pieces within both Still the Beating of my Heart and Blood Wedding, and the company were thrilled to have her on board once more as Choreographer for both A Doll's House and the Lysistrata tour. Amy trained at CPA Studios graduating in 2010. Sam M Owen is a freelance Lighting Designer, based in the UK; predominately in the London and Cambridgeshire areas. Sam designed and lit both Lady Windermere's Fan and Metamorphosis in 2017 for Theatrical Niche, and designed the lighting for our 2018 tour of A Doll's House. Winner of the Francis Reid Award as part of the ALD Michael Northen Bursary 2013. Nic has designed for 9 Theatrical Niche tours. Valentina trained at the Rome Academy of Fine Art in Set Design. Her final Thesis explores Kandinsky’s art and theatre, which led her to grow her ideas about art and the relationship between space, performer and communication, a concept which remains integral to her work process. In 2016 she designed her first full stage show Treasure Island, an immersive family promenade production for Iris Theatre, staged in Covent Garden. Since graduating she has worked extensively designing sets for TV, Commercials and Film in Rome & London. In 2016 she received the “Winner of Excellence” award in Set Design at the Depth of Field Int. Film Festival for Scriptorium from Little Dragons Films,. She opened her first personal exhibition Where are we? at the Corner House Theatre in 2015. The exhibition explored the way in which the city we live in can have a profound impact on our inside world.In Rome she worked as Production Designer on various short film productions She also assisted in the production design department of RIS Roma 2 Delitti imperfetti, a large scale Italian crime drama. Rachel trained at Queen Margaret University, where she was chosen for the Sam Wanamaker Festival. She initially joined Theatrical Niche playing Bobbi Michelle in Last of the Red Hot Lovers. Other theatre credits include Romeo and Juliet (Juliet), Bugsy Malone (Bangles), Much Ado About Nothing (Hero), Virtual Heroes (Rita) and Rosencrantz and Guildenstern Are Dead (Alfred). Pamela directed our Autumn 2017 Tour of Lady Windermere's Fan. She trained as a director at Mountview Academy of Theatre Arts, London, and obtained an MA in Theatre at University of Vienna/Austria. Directing credits include: Mozart & Salieri (Opera, Arcola Theatre & UK Tour, 2016 – 2017), A Florentine Tragedy (Opera, Bridewell Theatre, 2017), Zanetto (Opera, Bridewell Theatre, 2017), Threads (Hope Theatre, 2017), Othello (Rose Playhouse, Bankside, Waterloo East Theatre, National tour 2015-2016 and New York City), Rendezvous at Midnight (Rose Playhouse, 2015), Iphigenia in Tauris (Rose Playhouse, Bankside 2015), Shoot, I didn’t mean that / The Last Days of Mankind (Tristan Bates Theatre), Orpheus and Eurydice (Rose Playhouse, Bankside), The Taming of the Shrew (Rose Playhouse, Bankside), Ernest (Etcetera Theatre), Abe & Hans (Theatre503), La Traviata(Opera by Verdi, Kirchstetten/Austria, 2009), The Bacchae (TUFA Trier/Germany). 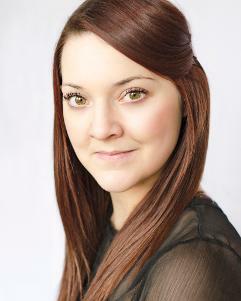 Sheri trained at East15 Acting School and with The National Youth Theatre Company. Directing; Collaborator, 'A dream from a Bombshell', Silent Shout Theatre Company, (The Brockley Scratch and Pulse Fringe Festival), Assistant Director 'Lysistrata' and ‘The Good Person of Szchewan’ Theatrical Niche Theatre Company (regional tour), Choreographer, 'The Education of a Lapdancer' Traffic of the Stage Theatre Company (National tour), Movement Director, ‘Dr Faustus’, ‘Lady Windermere’s Fan’ & 'Tartuffe' Theatrical Niche Theatre Company (all National Tours). 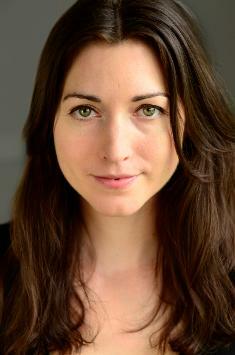 TV and other; 'Heather Dooley' in Critical for Hat Trick Productions directed by Jon East. Sheri worked alongside Tracey Ullman in the 'Tracey Ullman sketch show' (BBC, season1) as her movement & body double. She has also worked on various corporate & training videos notably with MTJ Media, Maverick, Liquid Productions, Sharp Focus and Kisu Productions. Short films include ‘Beth’ in ‘Welcome’ directed by Ben Marshall for Barbican Arts Centre and ‘The Other Woman’ in ‘The Right to Remain Silent’ directed by David Hennessy. Sheri can also be seen in commercials for ‘Bla Bla Car’ (Europe) and ‘Finnish’ (Online media) and has also enjoyed various still photography projects as a model. Sheri is Co-Artistic Director of Elite Squad London, a London based creative agency. 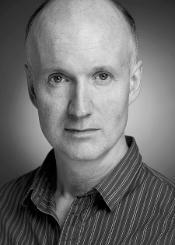 Bryan trained at LAMDA and Trinity College Dublin. Theatre credits include Hamlet (Changeling Theatre), A Midsummer Night's Dream (Clapham Omnibus) The Tempest (Three Inch Fools), Mysterious Skin (Em Lou Productions/ King's Head Theatre), Three Short Plays by Samuel Beckett (Whispering Beasts/ Old Red Lion) and War, Women and Song (Harvest Productions). Bryan is a member of Godiva Films, for whom he wrote and performed in the short films The Big Day and London Songbird earlier this year. His one-act play Padre was recently performed at the Old Red Lion Theatre. 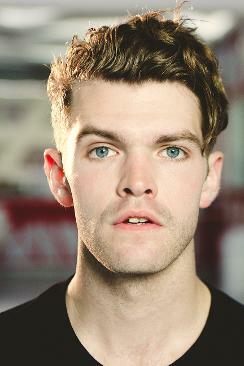 Tim trained at the National Youth Theatre and then Birmingham School of Acting, graduating in 2016. While still in training, he was invited to perform at the Odry Szinpad in Budapest when one of his third year shows, The Street of Crocodiles, was taken there with Kolectiv Theatre. He appeared in last year’s season at the Cambridge Shakespeare Festival and has since been touring and performing in the UK on a wide variety of different projects. He is an accomplished musician, having played in a number of different shows and successfully written scores for productions as well. Earlier this year, he returned to London from his first European tour with the award winning TNT Theatre company. 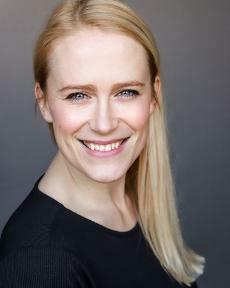 Since graduating from the Academy of Live and Recorded Arts in 2013, Maia's theatre credits have included: Prospero (The Tempest - The Cockpit), Belle/Fan (A Christmas Carol - tour), Sir Gromer/Queen Guinevere (Power of the Inglewood - Blue Elephant Theatre), Becky (Between the Cracks), Cleo (Transition - Theatre 503), Nurse (Shackled). Theatre credits whilst in training include: Melissa Milcote (Coram Boy), Dinah Rankling (The School Mistress), Rosalind (As You Like It). Short film credits include: Celia (Scotland is our Mexico), Clare (Key to Bachillero), Sally (12 Months Later), Gemma (Clouds), Jenny Holden (Winter's Secret). For Theatrical NIche Maia played Lampito / Female Chorus Leader (Puppet) / Peace in Lysistrata, and Elmire / Mariane / Monsieur Loyal in Tartuffe. Maia is also a saxophonist and puppeteer and can be found on Spotlight. Will Pinchin is the Co-Artistic Director of Grafted Cede Theatre, together with Dorie Kinnear. In addition to completing his PhD at Central School of Speech and Drama, entitled “Myth within Contemporary Mask Praxis”, Will works professionally as a devising actor, movement director, teacher, and mask maker. His recent production, Nobody’s Home, a collaboration between Grafted Cede and Theatre Témoin, toured extensively and will return this year with the support of the Wellcome Trust. As the resident movement director for Arrow’s & Traps Theatre Company, his credits include: Anna Kerenina (OFFIE Nominated), Titus Andronicus, Taming of the Shrew, The Winter's Tale, and Much Ado About Nothing. As a mask-maker, he has designed numerous productions, most recently The Peculiar Tale of Pablo Picasso and the Mona Lisa, and The Marked. 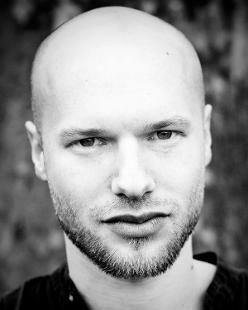 Will has taught workshops on movement and mask performance in the UK, USA, Ireland and Spain. 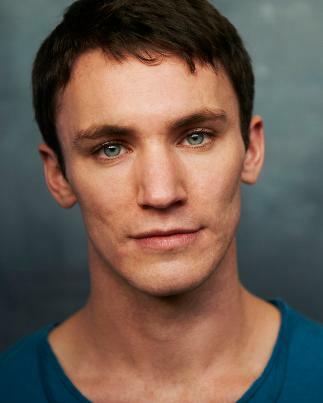 He currently enjoys teaching Movement and Physical Theatre with Fourth Monkey Theatre Company. Adam timidly stepped into theatre as a shy, eight-year-old at the Anna Scher Theatre. Several years (and lifetimes) later, he finds him self unequivocally in love with the arts: be it performing, writing, devising, or producing; and loves to collaborate. He recently appeared in 'Mr Mineshaft', a one-man-show based on the life of the avant-garde composer Julius Eastman, is currently working on the second show for musical sketch-comedy duo 'Strong Spoons' and infrequently puppeteers a larger than life dinosaur named Dexter! Metamorphosis (Mr Samsa) marks his first venture with Theatrical Niche and he's hoping that if he does the business: it won't be his last! Adam is a proud member of Equity and Spotlight. Simon is an actor and deviser who also writes. After graduating as a Trinity Scholar from Trinity College, University of Toronto (where he also tutored performance), he trained for two years at the École Internationale de Théâtre Jacques Lecoq before receiving his MA Acting from Drama Centre, London. He has worked with Canadian dance pioneers Gerry Trentham and Maxine Heppner in creative collaboration for My Heart is a Spoon and directed, devised and performed an original, award winning clown play entirely in gibberish - Halapatooloo - at the Toronto Fringe Festival. He has played Emperor Norton in Breadknives Theatre’s Emperor of America at the Edinburgh Fringe Festival, continues to work with Gooddog Theatre on Poetry House Live, a collaboration between 7 international playwrights and the company, where he plays Arthur Rimbaud, Halldor Laxness and John Keats and is proud to play Gregor Samsa in Theatrical Niche’s production of Stephen Berkoff’s Metamorphosis (after Kafka) in this English regional tour. He is Artistic Director of Jeudi, a new theatre collective based in Edinburgh and London. 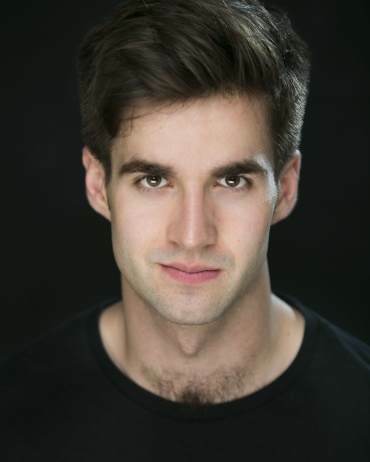 Noah Young studied BA Performing Arts Drama at Middlesex University. Theatre credits include: What Lovely Weather (Barbican) with The Theatre Of The Absurd, Puppeteer/Clown in In The Night Garden Live (O2 Arena and Tour) for Minor Entertainment, Mary Rose (Riverside Studios) with DogOrange, Monsters In The Forest (Tricycle Theatre), Antigone (Riverside Studios) for Theatre Lab, Much Ado About Nothing (The Scoop), Falstaff in The Merry Wives Of Windsor (The New Red Lion Theatre), Oberon/Theseus in A Midsummer Night's Dream (Victoria Embankment Gardens) - all for Grassroots Shakespeare, Kiss The Shadow (Soho Theatre). He is artistic director of NMT Automatics where he has written, directed and performed in productions including The Orpheus Project (Edinburgh C Too, and London So & So On Festival) and Wish You Were Here (Transitstation, Berlin and London) and is currently working on a theatre-dance adaptation of Dido & Aeneas: Remixed to tour in the Autumn 2016. Matthew began his acting career as part of the innovative devising company, Belt Up Theatre whislt at York University. He then trained at Central School of Speech and Drama and has been working professionally for the last four years. As well as classical theatre Matthew works as a puppeteer, a teacher and a motion capture artist for next generation console games. His most recent work has seen him tour Europe as Macbeth with the Festival Players, as Brutus in Julius Caesar for Worcester Rep and Gregor in a national tour of Metamorphosis with Scene Productions. Coming from a devising and physical theatre background, Matt relishes the chance to get down and dirty with a variety of physical styles when approaching characterisation; with this in mind he would like to thank Theatrical Niche for allowing him to indulge in getting to devise and multi-role to the extreme! Adam has been working steadily as an Actor in film and theatre as an actor since 2009. He is an artistic associate and collaborator of the Quite Nice Theatre Company and also acts as a writer/producer for his own film production unit A.swan Productions. Theatre credits include; A Midsummer Nights Dream(Lysander/Quince), Macbeth(Duncan/Macduff/Murderer/Witch2), The Merchant Of Venice(Launcelot), The Seafarer(Mr Lockheart), Mosquito Note(Ryan), The Man At The Door(Rich, Lead). Film credits include; Chamber(War), The Possessors(Ben, Lead), Where's Wallet(Guy, Lead), This is Ned(Alfie, Supporting Lead), Derek Douglas And The Deadly Deception(Derek Douglas), Purse(Guy Cassidy, Lead), In & Out Of Focus(Mark, Lead). Adam can also be found on Spotlight. For Theatrical Niche's England Tour of BLOOD WEDDING, Adam played Leonardo, Father and Woodcutter puppet 1. He now plays both Orgon and Valere in TARTUFFE. 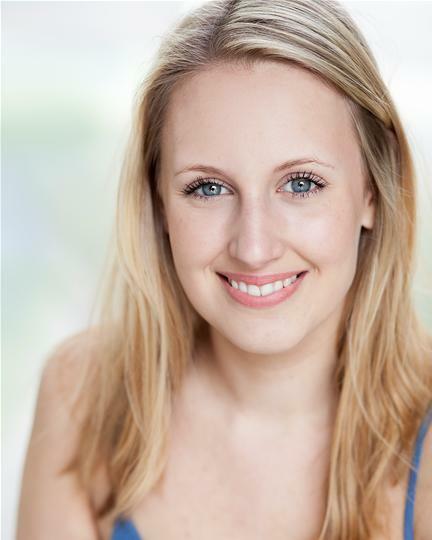 Alice trained in World Performance at East 15 Acting School, and since graduating in 2013, she has undertaken a wide variety of acting roles. For the past two summers Alice has performed in the Cambridge Shakespeare Festival - this year playing eight parts between two plays! She has a particular love of comedy and flair for strong character roles. After joking in her audition that she is always being cast as men.. She could not be happier to have made her debut with Theatrical Niche playing Tartuffe! Rachel graduated from the University of Birmingham with an English and Drama degree in 2010. She then went on to study Acting at East 15 Acting School. Since graduating from East 15, she has performed in "Only in Her Skin" at Soho Theatre, "A play in a day" at Camden People's Theatre and more recently in "Beneath the Dark" at Paradise Green in Edinburgh. She has been involved in numerous short films including sketches for anti-smoking charity "Quit". She was also involved in Derby: Theatre Uncut's performance in December, an event she was particularly proud to be a part of as it was in her hometown of Derby. She is thrilled to be a part of this production and loves being involved with Theatrical Niche. Samuel studied Drama at The University of the West of England graduating with a First Class degree in 2008. Recent credits include: Gholam (AimImage Films), Titus Andronicus(The Theory of Everything ltd, Bold Tendencies, Peckham),Letters From Another Island( Almost Human Theatre, Prague Fringe Festival). Samuel is a dedicated pacifist and in the words of one of the plays unfortunate Spartan soldiers is "forever a lover not a fighter". Samuel can be found on Spotlight. Luke's acting credits include Macbeth (Omnibus Clapham) Brassed Off 2014 Tour (York Theatre Royal, Touring Consortium, Bolton Octagon) First World War promenade epic Blood and Chocolate (Pilot Theatre,Slung Low, York Theatre Royal) Twelfth Night (Permanently Bard) Rabbitskin by Dominic Grace (West Yorkshire Playhouse and Tour); So You Want To Be A Writer? and My Generation readings (West Yorkshire Playhouse) The Seagull and Brian Looks Like Alan Rickman (Black Coffee Theatre); All My Sons, Brassed Off and Enjoy (York Theatre Royal) The Cherry Orchard, Macbeth, A Midsummer Night’s Dream, Road, and the UK Premiere of Sandholm by Anna Bro (ALRA). TV credits include Heartbeat, The Royal Today (ITV) The Garden (BBC/Tiger Aspect) and a Pizza Hut commercial. Amanda Mascarenhas has worked in various performance genres such as devised shows, creative events, T.I.E and immersive pieces. She prides herself on her ability to design and create for various environments. She is a graduate from Rose Bruford College of Theatre and Performance gaining BAHons in Theatre Design. She has designed for companies such as Halfmoon Theatre ‘Scrub-a-Dub’, Soho Theatre ’East meets West’ and Custom Practice ‘Richard III’. She has recently design assisted on Punchdrunk’s ‘The Drowned Man’. Amanda has designed multiple shows for Theatrical Niche, spanning all sorts of genres. 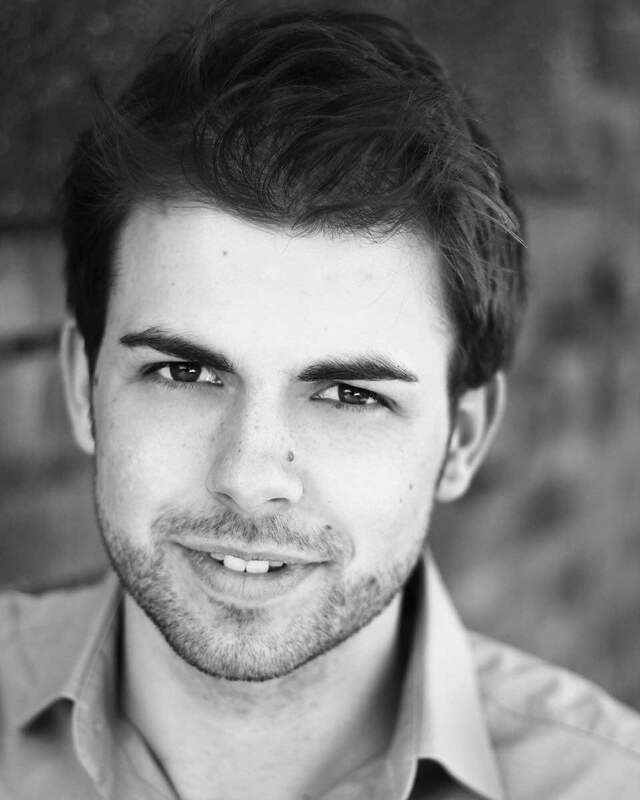 Dan graduated from the University of Warwick in 2013 with a First Class degree in English and Theatre Studies. Whilst studying, he directed a number of productions for various groups, and was President of Warwick University Drama Society during his final year. Dan has completed summer schools at both the RSC and National Theatre, and since graduating he has also worked as a script-reader for various companies, including Headlong. He also writes regularly about theatre for publications like Exeunt, Culture Wars and A Younger Theatre, and is three-times winner of the Harold Hobson Award for Theatre Criticism at the National Student Drama Festival. Dan is a co-director of Barrel Organ Theatre and a member of the Young Vic Directors’ Program. 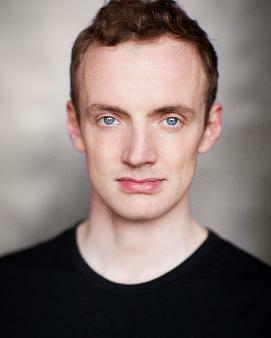 BLOOD WEDDING was Dan's first Directing role for Theatrical Niche Ltd.
Dominic studied Drama & Theatre Studies at Royal Holloway university of London, before graduating in 2012. Theatre includes 'Closer', 'Scotch, Hummous and Totalitarianism' (theatreamalgam8), 'There is a War' (Firestation Art's Centre), 'Lear' and 'Dido Queen of Carthage' with Lazarus Theatre (Greenwich Theatre), 'Dreams from The Pit' (Palace Theatre/Shadowroad Productions), The Hollow Point (Hen and Chickens/Sigil Club) 'Travesti' (lost theatre/etcetera Theatre/Unbound Productions). Television includes 'My Mad Fat Diary' (C4) and 'Silk' (BBC Television). Dominic has also modelled for Fabulous Magazine. Dominic can be found on Spotlight. For Theatrical Niche's England Tour of BLOOD WEDDING, Dominic played Bridegroom and Moon puppet. Micha trained at ALRA (2010- 2011). Theatre credits include: 'Quarrel' ('Play in a Bag' Productions) 'Whale Tale', (devised with Alice Sillett) and one-woman show 'SuperSonic Shelly' (SLC Limelight Productions). Recent short film credits include 'Fiamma Alma Poetry Films', 'A Lamb to the Slaughter' and 'A Tough Day at Work'. Micha is a voice artist and has recorded for corporate films, mobile games and live poetry performance. Micha is also a writer and director. 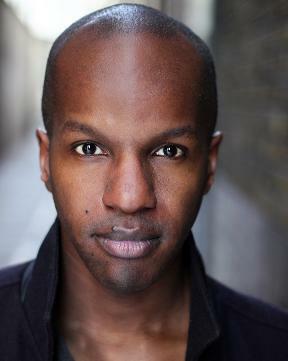 Recent credits include the sell-out 'Woman in the Dunes' and '0% Interest', both at Theatre 503. She established Kagami Theatre in 2013 as a vehicle to bring East Asian stories to UK audiences. She has a degree in Japanese from Cambridge University, and has lived and worked in Japan, China and Brazil. Micha can also be found on Spotlight. 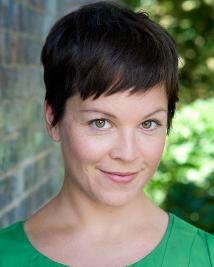 For Theatrical Niche's England Tour of BLOOD WEDDING, Micha played Mother, Wife and Death puppet. Sam came to acting about 6 years ago after working in a great variety of more, “conventional,” occupations. Starting with voice-overs for Norwich University of the Arts’ Animation Course then refining his skills through working as an improvising medical role player for doctors, medical staff and students (over 350 to date) he eventually found his way onto stage in 2008 at the Maddermarket in Norwich. He has had an interesting range of work since then in films (Henry Appleby – Glorious 39, Raymond Wilkes - Tick Tock, Eccentric Man - Thrown) voice–over (London Railways of the 1960s, Palm Paper corporate DVD, various computer games) online (The Dean -Tempting Fates) and the theatre. 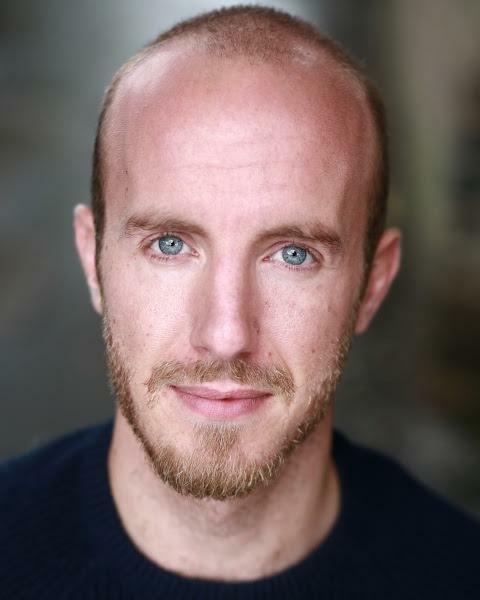 Sam’s recent theatrical credits include Proof (Robert), Hayfever (Richard Greatham), Twelfth Night (Malvolio) Northanger Abbey (General Tilney) One Flew Over the Cuckoo’s Nest (Frank Scanlon) and Abigail’s Party (Laurence.) In March of last year he produced his own, one man multimedia performance of The Time Machine at the Maddermarket and also toured with a comedy triple bill. Sam took the part of troubled Maths genius 'Robert' to much acclaim in our England Tour of PROOF.